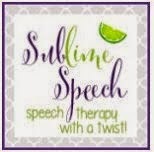 Often times when people think about speech language therapy they immediately think about someone helping children correctly pronounce their sounds. That is definitely one of the roles of a speech language pathologist (SLP) to provide services for a child with speech sound disorders. However, that is only a component of speech disorders. Pediatric speech sound disorders include difficulties with articulation (pronouncing sounds) and phonological processes (sound patterns). As children develop, they all incorrectly pronounce certain sounds and these patterns of error are known as phonological processes. If these errors persist beyond a certain age, a child that is experiencing challenges with expressive communication may receive one of the following diagnoses following a speech therapy evaluation from a SLP. the percentage or measure of how much a child's speech is understood by a listener. Childhood Apraxia of Speech is a motor speech disorder that occurs because the brain has problems planning to move the body parts (e.g. lips, jaw, tongue) required for effective verbal communication. Children with this speech disorder have difficulty coordinating the muscle movements necessary to say sounds, syllables, and words. They often know what they want to say, but are unable to verbally express it accurately. A fluency or stuttering disorder occurs when a child experiences involuntary interruptions or dysfluencies in his or her speech. There are many types of dysfluencies. 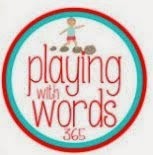 A child may repeat a sound at the beginning of a word (e.g. b-b-book), part of a word (e.g. bo-bo-book), entire word (e.g., book, book), or an entire phrase (e.g. my book, my book). Other dysfluencies include sound prolongations (e.g. I want s-s-s-ome), interjections (e.g. I want um-um-um some juice), and blocks (e.g. struggle behavior with no audible speech). Some children may also show excessive body tension, eye blinks, facial movements, or other body movements. Dysarthria is a motor speech disorder that results from neurological impairment (brain injury) due to a stroke, traumatic head injury, cerebral palsy, or muscular dystrophy. This leads to weak speech muscles and respiratory system. A child with dysarthria may exhibit verbal communication that has a slow rate of speech, slurred, soft volume, hoarseness, and limited movements of speech muscles (tongue, lip, jaw). A child will often have poor saliva control and chewing/swallowing difficulty. Voice Disorder is the term used to describe a category of speech sound disorders that are due to a benign growth on the vocal folds/cords or a child's overuse of his or her voice. Nodules or polyps may grow on the vocal cords that prevent the necessary movement of vocal folds that is needed for verbal communication. A child with a voice disorder may have a hoarse, breathy, scratchy sounding voice accompanied with ear pain and/or discomfort in their neck/throat area. If a child has a hoarse voice for more than 2-3 weeks, it is wise that he or she is seen by the pediatrician. If you suspect that your child may have a speech disorder, please tell your child's pediatrician and get a referral for a private speech therapy evaluation. You may also discuss your concern with your child's teacher and request that the speech-language pathologist complete a speech screening.